MISTERHIPP: HAIL TO THE KING, BABY. 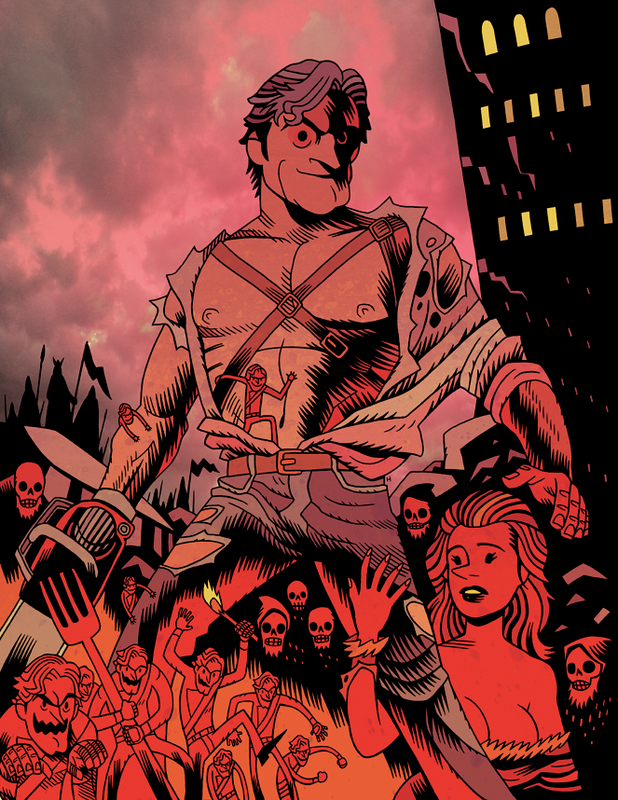 Illustration for Bruce Campbell interview in this month's FRONT magazine. I think this might be my favorite so far this year! This is awesome for an interview article.